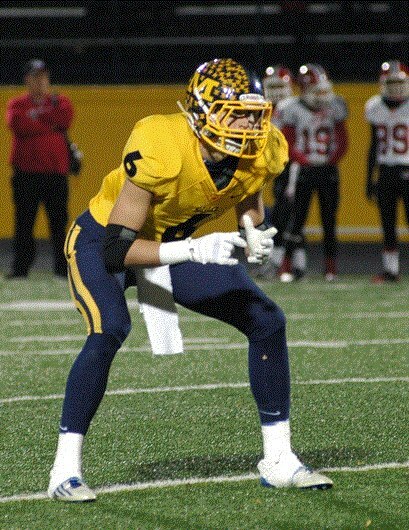 Citing the experience as a "dream come true" via his Twitter account, four-star high school prospect Sam Hubbard gave a verbal commitment to join the Ohio State Football team in the fall season of 2014. The six and a half foot tall safety decided that he would de-commit from an offer to join Notre Dame's lacrosse team and enter into the Ohio State athletic program. A native of Cincinnati, the safety had an outstanding high school career. In his junior year, he accounted for eighty tackles in addition to two interceptions and two forced fumbles. Other teams hoping to land Sam Hubbard for their own football programs included Michigan, Louisville, Standford, and the University of Miami. What does Sam Hubbard bring to the 2014 Ohio State Football program? Urban Meyer, head coach of the Buckeye football squad, pursued Sam Hubbard for months in the hopes of landing him on the OSU NCAA team. At six and a half feet in height, Hubbard is excellent at vertical coverage, with enough speed to have the mobility needed to get across areas of the field quickly. His size and strength and necessary for bringing down the NCAA D-1 running backs, wide receivers, and tight ends who may be able to get through Ohio State's relatively weak defensive end. Indeed, his size means that he may play defensive end or linebacker at the NCAA level. Sam Hubbard did not think that he would have a football scholarship at first and decided to pledge to Notre Dame's lacrosse team. In the early spring, however, once the football season ended, more and more NCAA coaches began to contact him about playing with the possibility of a scholarship. As more opportunities opened up, he had his pick of potential schools to apply to, including the Big Ten powerhouse of Ohio State Football.